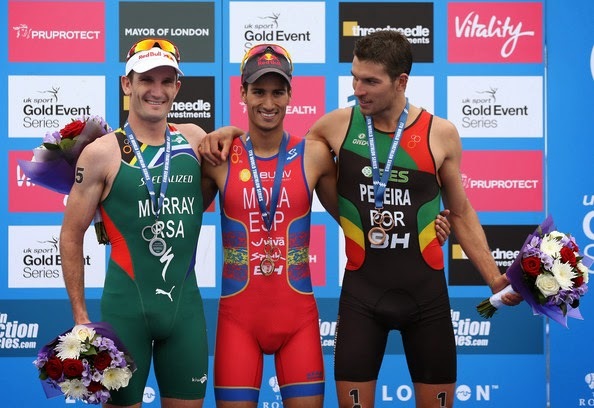 Mario Mola claimed victory from South Africa's Richard Murray as Britain's Olympic champion Alistair Brownlee came fourth in a hard-fought World Triathlon Series race in London. Brownlee, after a disappointing fourth place in Japan, led the field into the final kilometre but was outpaced. "I went hard but with 100m to go I had nothing left," he told BBC Sport. American Gwen Jorgensen won the women's race to replace Briton Jodie Stimpson, who finished 11th, as series leader. Fellow American Sarah Groff was second, with Australian Emma Jackson third. Jorgensen now leads the rankings from Stimpson after four rounds, with another Briton, Helen Jenkins, in fourth. The men's podium places were completed by Portugal's Joao Pereira, with younger Brownlee brother Jonny fifth, ahead of series leader Javier Gomez. Alistair Brownlee has said he is prioritising success at this summer's Commonwealth Games, but the 2009 and 2011 world champion was clearly determined to replicate the display that earned him Olympic gold in the same Hyde Park setting in 2012. After Slovakian Richard Varga led a 1.5km swim, Brownlee repeatedly came to the front of a group of riders seeking to open up a gap over a 40km course on the bike. Despite catching the leaders from the swim, all the rivals were together coming into the 5km run. It was Alistair who again set the pace but he was soon marked by brother Jonathan, Murray and Spaniards Gomez and Mola. As the final kilometre approached, Gomez and Jonny Brownlee were dropped by Alistair's aggression, but it was Mola who had the better tactics on the day as he ran home for a first world series victory ahead of Murray in the final sprint. Can London return aid struggling Brownlees? 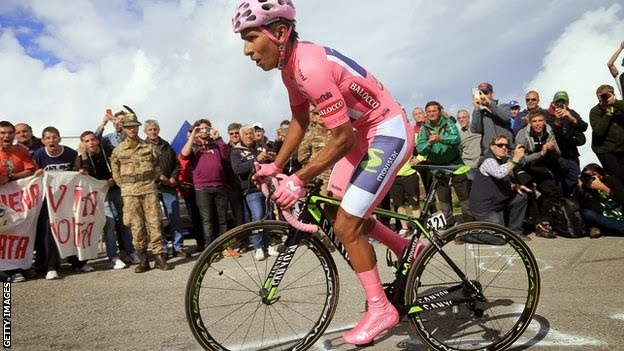 Movistar rider Nairo Quintana is on the brink of Giro d'Italia victory after maintaining his lead over Rigoberto Uran on the penultimate stage. The 24-year-old leads fellow Colombian Uran by three minutes seven seconds ahead of Sunday's race into Trieste. Australia's Michael Rogers won stage 20, from Maniago to Monte Zoncolan, ahead of Italy's Franco Pellizotti. Another Italian, Francesco Bongiorno, was challenging Rogers for victory until he was pushed by a spectator. The Bardiani Valvole rider was on Rogers's wheel with three kilometres to go when a fan pushed him on the back, forcing him to take his left foot off the pedal. 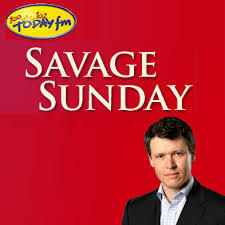 Bongiorno recovered to finished the stage third, ahead of Ireland's Nicolas Roche. He said: "I'm very bitter. On a climb like that, when you lose your balance, it's impossible." Race leader Quintana kept close to Uran on the final ascent of Monte Zoncolan, a gruelling climb of more than 10.1km. With the final stage relatively flat, he is all but guaranteed overall victory ahead of his compatriot, with Italian Fabio Aru set to finish third. "It's 99% done," said Quintana. "I've achieved one of the big goals in my life." Tinkoff-Saxo rider Rogers, meanwhile, said he was "proud" to win a second stage in this year's Giro. The 34-year-old, cleared of a drug violation in April after eating contaminated meat, added: "It's been a dream of mine to win a mountain-top finish like that." The Giro ends with a 172km flat route from Gemona del Friuli to Trieste. 1. Michael Rogers (Aus/Tinkoff - Saxo) 4:41:55"
2. Franco Pellizotti (Ita/Androni Giocattoli) +37"
3. Francesco Bongiorno (Ita/Bardiani Valvole) +48"
4. Nicolas Roche (Ire/Tinkoff - Saxo) +1:34"
5. Brent Bookwalter (USA/BMC Racing) +1:36"
6. Robinson Chalapud (Col/Colombia) +1:46"
7. Georg Preidler (Aus/Giant) +1:54"
8. Maxime Monfort (Bel/Lotto) +2:13"
9. Dario Cataldo (Ita/Team Sky) +2:23"
10. Simon Geschke (Ger/Giant) +2:38"
1. Nairo Quintana (Col/Movistar) 83:50:25"
2. Rigoberto Uran (Col/Omega Pharma - Quick-Step) +3:07"
3. Fabio Aru (Ita/Astana) +4:04"
4. Pierre Rolland (Fra/Europcar) +5:46"
5. Domenico Pozzovivo (Ita/AG2R) +6:41"
6. Rafal Majka (Pol/Tinkoff - Saxo) +7:13"
7. Wilco Kelderman (Ned/Belkin) +11:09"
8. Cadel Evans (Aus/BMC Racing) +12:00"
9. Ryder Hesjedal (Can/Garmin) +13:35"
Atletico Madrid's 18-year wait for the La Liga title will go to the final weekend of the season after Diego Simeone's leaders were held by Malaga. Atletico, who would have won the title with a win, were made to pay for a host of missed chances when Samu bundled Malaga ahead against the run of play. Toby Alderweireld rescued the hosts with a header before Malaga's Marcos Angeleri was sent off. Atletico will seal the league if they avoid defeat at Barcelona on Saturday. A victory for the Catalans in that game will see them retain their title by virtue of their head-to-head record against the Madrid side. With Barcelona drawing at Elche, Atletico would have been crowned champions of Spain for a 10th time had they beaten Malaga. But, after a game of wasted chances and missed opportunities, an intriguing and thrilling title race will now be decided at the Nou Camp on the final day of the season. Yet Simeone knows his side passed up a great opportunity to wrap up the league with one game to spare. 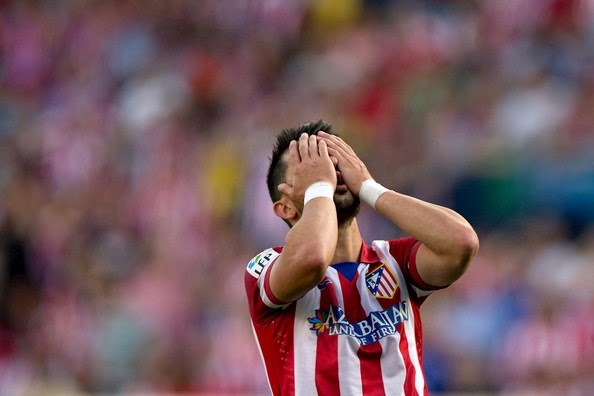 David Villa hit the woodwork in the 15th minute when he should have scored after a clever flick by Raul Garcia. Midfielder Koke stabbed another chance wide before an unmarked Garcia headed wide from inside the six-yard area. Atletico were made to pay for those wasted opportunities as Samu netted against the run of play after lobbing Atletico's on-loan Chelsea keeper Thibaut Courtois in the 65th minute. Suddenly, a sell-out Vicente Calderon crowd fell silent before defender Alderweireld salvaged Atletico's unbeaten home record in the league this season with a 74th-minute free header. Malaga defender Angeleri, who had earlier been booked, was sent off two minutes from the end of normal time following a second yellow card as the hosts piled forward in search of a winner. Substitute Adrian Lopez thought he had won Atletico the title with a curling shot in stoppage time. But, in keeping with this absorbing title race, his goal-bound effort was dramatically tipped over by Willy Caballero, the Malaga keeper's save ensuring the identity of the 2013-14 champions of Spain will not be known until the last day. Atlético Madrid, Barcelona and Real Madrid: La Liga clockwatch live! Manchester City cruised to their second Premier League title in three years with a comfortable 2-0 victory over West Ham at the Etihad Stadium. Needing only a point for glory, City finally broke through the massed ranks of West Ham defenders in the 39th minute when Samir Nasri's low long-range shot proved too hot to handle for goalkeeper Adrian. 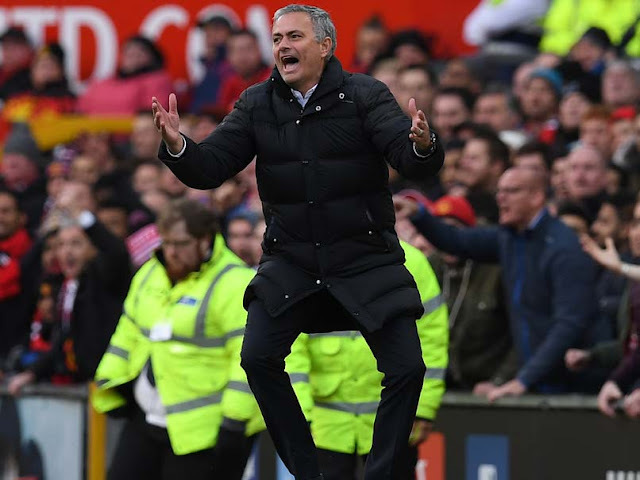 That removed any lingering nerves for Manuel Pellegrini's men, who have only led the Premier League for 14 days this season, with Liverpool's 2-1 win against Newcastle at Anfield ensuring City ended the season as they began the final day - two points clear of their nearest rivals. Vincent Kompany gleefully lashed home a Nasri corner from six yards out early in the second half to start the party at the Etihad, and with Joe Hart a virtual spectator throughout the game, there was never even a hint of a West Ham fightback. It was raining heavily at kick-off but the atmosphere was raucous and City approached the game with the confidence of a side that were comfortable and in control of their destiny. City's top scorer Sergio Aguero was back in their side after injury but not at his sharpest, although on this occasion his brilliance was not needed. West Ham did play a little more positively than the previous visitors, Aston Villa in midweek, but the occasions they threatened were still few and far between. The hosts appealed unsuccessfully for a penalty early on after Mark Noble deflected a Pablo Zabaleta cross onto his hand. Their first real chance came after David Silva and Aguero combined well on the edge of the box. 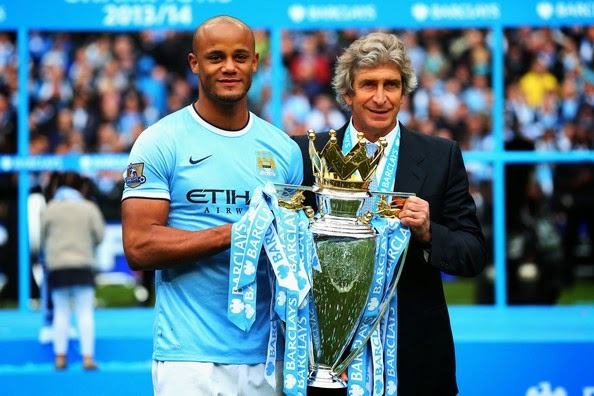 Yaya Toure's initial effort was blocked before Silva volleyed over from a Zabaleta cross. Zabaleta then wanted a penalty after going down under a challenge from Mohamed Diame before Aguero showed some nimble footwork to spark an attack from inside his own half. The ball was worked across the field and Aguero tried to finish from distance but slipped as he shot and Adrian saved comfortably. Nasri then had a good cross turned behind and Toure curled a shot narrowly wide as news filtered through that Liverpool had fallen behind in their game against Newcastle. City maintained the pressure, with Aleksandar Kolarov forcing Adrian to tip over a powerful drive from distance. Nasri finally broke through six minutes before the interval as he took aim from 20 yards and struck a powerful low shot which flew beyond Adrian and into the side-netting. City fans then increased the volume significantly and Aguero glanced a header wide before Silva saw an effort deflected onto the bar off Andy Carroll. City truly got the party started four minutes into the second half when Kompany stabbed home from six yards after Edin Dzeko won the ball from a corner - the City captain celebrating with unconfined joy. West Ham did make a rare charge to the City end but Matt Taylor's mistimed shot bounced wide. Aguero had two opportunities to extend City's lead but headed wide at the near post and then failed to connect cleanly in front of an open goal from a Zabaleta cross. That sparked an unnecessary scuffle between several players of both sides and Aguero was eventually booked, but it could not dampen City's celebrations. 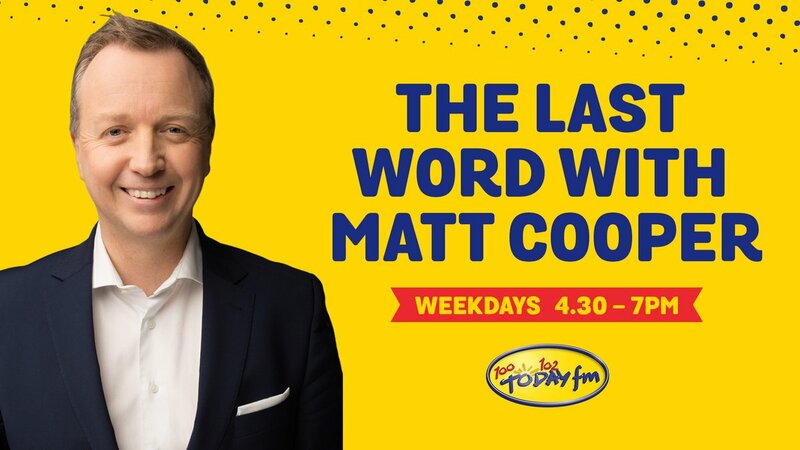 They knew the job was completed and the hosts duly played out the closing minutes with little alarm to prompt a pitch invasion and jubilant scenes. Manchester City in the edge of premier league glory..
Peter Kennaugh has withdrawn from Team Sky's nine-man Giro d'Italia squad, leaving team-mate Ben Swift as the only British rider in the race. Kennaugh claimed the first title of his career in March but has struggled to recover from an illness that also forced him out of Liege-Bastogne-Liege. "I'm feeling better but I'm behind on where I wanted to be. The plan is to be competing in a few weeks," he said. Chris Sutton has been drafted in for the race, which starts on Friday. The Australian supported Chris Froome in the Tour de France champion's most recent triumph at the Tour de Romandie. The three-week race begins with three stages in Northern Ireland and Republic of Ireland before heading to Italy. Dario Cataldo (Ita), Edvald Boasson Hagen (Nor), Philip Deignan (Ire), Bernhard Eisel (Aut), Sebastian Henao (Col), Chris Sutton (Aus), Salvatore Puccio (Ita), Kanstantsin Siutsou (Blr), Ben Swift (GB). Judy Murray has paid tribute to Elena Baltacha, who died of liver cancer at the age of 30 on Sunday. 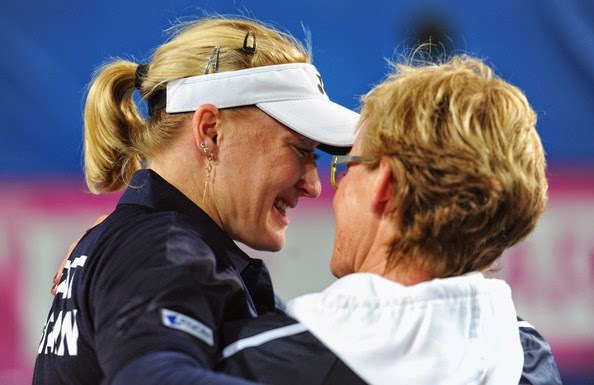 Murray coached Baltacha as a junior in Scotland and then worked with her as captain of Britain's Fed Cup team. She added it was "an awful loss" for tennis, those who knew and loved her, but most of all for her husband Nino Severino and her family. She was one in a million," said Murray. "An absolute gem." 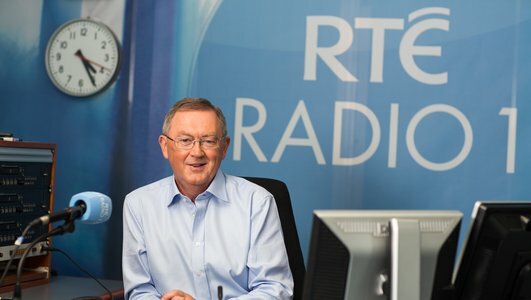 Murray added: "I don't have the words to say what an incredible person Bally was, how loved she was or what an inspiration she will continue to be to everyone who met her." Baltacha, who was British number one for nearly three years and retired in November 2013, learned she had liver cancer in January 2014 - two months after retiring and only a few weeks after marrying her former coach Severino. A host of tennis stars, including Martina Navratilova, Laura Robson, Andy Murray, Ross Hutchins, Tim Henman, Greg Rusedski, Jamie Murray, Jonny Marray, Anne Keothavong and Heather Watson, have agreed to take part in The Rally Against Cancer - Rally For Bally, a fundraising event to be held in Baltacha's memory on 15 June. The mixed doubles exhibition matches at the Aegon Championships at Queen's Club, the Aegon Classic in Birmingham and the Aegon International in Eastbourne will raise money for the Royal Marsden national cancer charity and the Elena Baltacha Foundation. "If I ever happen to have an accident that eventually costs me my life, I hope it is in one go. I would not like to be in a wheelchair. I would not like to be in a hospital suffering from whatever injury it was. If I am going to live, I want to live fully. Very intensely, because I am an intense person. It would ruin my life if I had to love partially." 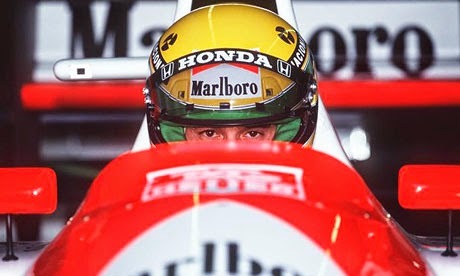 Ferrari President Luca di Montezemolo believes Ayrton Senna would have finished his Formula 1 career at Maranello had the Brazilian not been killed in the 1994 San Marino GP. With the Formula 1 community preparing to mark the 20th anniversary of the three-times World Champion's death on Thursday, Montezemolo has added to the many fascinating 'what if' theories surrounding Senna by revealing that the pair had talked in the build-up to the Imola weekend about the possibility of the 34-year-old switching to Maranello in future. After enjoying huge success over a seven-year stint at McLaren, Senna had joined reigning World Champions Williams for 1994, while Ferrari were already 15 years into their long Drivers' Championship drought. Two years later the Scuderia signed Michael Schumacher, the sport's newly-crowned double World Champion, to spearhead their return to glory, with the title finally returning to Ferrari in 2000. "He wanted to come to Ferrari and I wanted him in the team," Montezemolo said in a tribute to Senna posted on Ferrari's website. "When he was in Italy for the San Marino Grand Prix, we met at my home in Bologna on Wednesday 27 April. He told me he really appreciated the stand we had taken against the excessive use of electronic aids for driving, which didn't allow a driver's skill to shine through. "We spoke for a long time and he made it clear to me that he wanted to end his career at Ferrari, having come close to joining us a few years earlier. 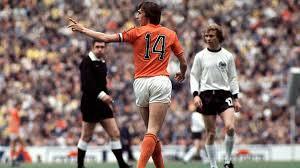 We agreed to meet again soon, so as to look at how we could overcome his contractual obligations at the time. We were both in agreement that Ferrari would be the ideal place for him to further his career, which to date had been brilliant, even unique. Unfortunately, fate robbed all of us of Ayrton and Roland Ratzenberger over one of the saddest weekends in Formula 1 history." 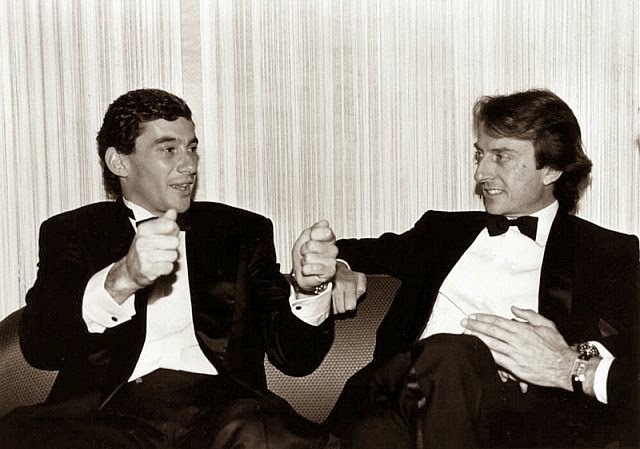 Although never getting the chance to work directly with the great Brazilian, Montezemolo revealed he was a fan of both Senna the driver and the man. "Of Senna, I remember his kindness and his simple almost shy nature, which was in complete contrast to Senna the driver, a fighter always aiming for the best," the Italian, who became Ferrari President in 1991, explained. "I always appreciated Ayrton's style of racing. As with all great champions, he had an incredible will to win and never tired of seeking perfection, trying to improve all the time. He was extraordinary in qualifying, but also a great battler in the races, when he always fought tooth and nail." Ferrari's 2014 driver line-up of Fernando Alonso and Kimi Raikkonen are attending Thursday's Senna memorial service at Imola as the circuit holds a four-day tribute event for fans.